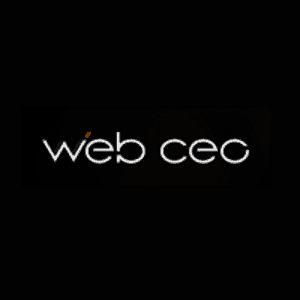 Web CEO is an SEO platform designed to help small businesses boost their web ranking on search engine results. Its features include local rank tracking, keyword research, mobile optimization check, competitor metrics, and more. In this article, we cover Web CEO reviews and pricing. Ready to try Web CEO? Get a free trial. Users who gave Web CEO a positive review said that it gives them all the important SEO tools that they need including keyword research tools, backlink analysis tools, and Meta Tag and Technical audit reports. They also commented about the customizable reports and excellent customer support. Users who gave Web CEO a negative review mentioned that the app works a bit slow and that the dashboard is not very intuitive. They also noted that the pricing can be too high for individual users. 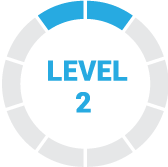 One user who gave Web CEO a negative review on Capterra said that it takes a while to master the configuration settings of the software. He added that the technical alerts are occasionally buggy with false positives. Web CEO pricing is inclusive of four subscription plans: Solo ($39/month), Startup ($99/month), Agency Unlimited ($99/month + scanning fees), and Corporate ($299/month). The main differences between the plans include the maximum number of projects, unique keywords, and pages audited, as well as access to premium features such as white-label SEO tools and API. **Average monthly scanning cost per project is $4.20. Ready to try out Web CEO? Get a free trial. How long does Web CEO’s free trial last? Web CEO’s free trial lasts for 14 days. Interested users can sign up for the trial period without having to provide their credit card details. They can also request for a demo to know more about the product. Does Web CEO offer discounts? Yes. Web CEO offers a 10% discount for a three-month subscription and a 25% discount for the annual subscription. The Agency Unlimited plan also has discounts for scanning costs that vary from 10% to 37%, depending on the payment sum. Subscribers can click on the “Calculator” button in the Agency Unlimited column to see the details of this plan. Not sure if Web CEO is the right fit for you? Read our reviews of all top SEO software providers or check out one of these three Web CEO competitors. Disclaimer: The following information was provided by WebCEO and does not necessarily reflect the views of FitSmallBusiness.com. WebCEO has been a developer of SEO software and Internet Marketing tools since 2000. In 2010, WebCEO developed an SaaS product called WebCEO Online. Since that time, the company has collaborated with large SEO Agencies and corporations while adding new advanced features to its website marketing software. Advanced technologies used in the online WebCEO software include an SEO API, white-label service on subdomains, SEO task management, team collaboration features, plus lead generation tools. Both in-house SEO teams and digital agencies love WebCEO because of the depth of functionality, including a Keyword Research tool, a Rank Tracking tool, a Backlink Quality Check tool, an SEO Analysis tool, Social Analytics tools, a Competitor metrics module and more – there are 15 tools all in all. WebCEO’s Dangerous Competitor Finder and Competitor Backlink Spy tools have been the talk of the SEO industry since 2017. WebCEO’s Rank Tracking tool is the best in the niche, as it has all the popular search engines in the list (including YouTube), because it allows users to track keywords down to the city or zip-code and because results include Snippets and Knowledge Panel results! We value each and every customer, from a small business owner to a large digital agency or corporation. If a customer is new to the process of SEO, we are ready to help, teach and support – in order to make the learning curve faster and bring our customer to success. We are proud to develop a reliable product, which currently supports more than 1,280,000 online businesses. The data we provide boasts of being secure, and accurate. We can’t afford to provide unreliable data – because we primarily serve our product to Digital Agencies, the most demanding clients in the SEO niche. Our mission is to help Internet Marketers promote their online businesses effectively, save time and effort and dominate their niches. The flexibility the WebCEO platform offers. There’s a tool for everything related with SEO. On-page, off-page, backlinks, competitors, rankings, traffic data, social media, the list goes on! The company does a great job of understanding what agencies and SEO experts need when it comes to data. You can tell the developers not only create new tools for the heck of it, but work alongside a team that actually practices what they preach. They develop new tools to help you solve problems in your daily work. From keyword research, backlink data, and a very impressive audit tool. WebCEO truly does offer an all-in-one solution. Their toxic link profiling is also pretty amazing when it comes to cleaning up bad links from negative SEO attacks. I would say the company probably could work on their pricing a bit. However, this is not a big downfall as their target audience really is agencies. However, it is a little on the expensive side for individuals. Nothing really, as I was really impressed with their tool. If I had to say one thing, it might be that their support is more European based so responses are sometimes a little delayed, but simply due to different time zones. I really like the after sales support i recieved, i have personal Skype details from many of the people behind Web CEO which means a lot as i can talk to someone directly not just behind a chatwall. The software is full feature rich and does a lot, it really is an ALL IN ONE solution. I did have some issues with local search results, specifically in Australia. With mixed results, i believe it had someone to do with the proxy being used and skewing results for some hyperlocal suburbs. I believe these things have been resolved in future updates. I also believe the pricing is high compared to similar offerings, however do you get what you pay for, but i think the solution is more for agency organisations rather than smaller start up agencies. Nothing, pre sales was great and answered all my questions. Since the 2 days I’ve been using this system its had a dramatic impact on helping improve the SEO and performance of the site. The stats you get by adding your Google analytics and web master tools is far beyond what I expected to see and my opinion is much better and easier than what you get from google themselves.